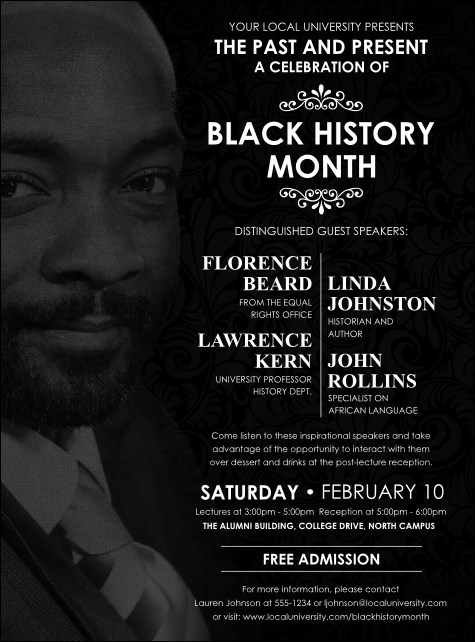 Pay homage to those who came before with the Black History Month Flyer. The expressive face of a well-dressed man shadows the black backdrop, punctuating the white type and lattice work which help a generous 33 lines for all your event specifics stand out. Highlight the importance of your gathering with this remembrance of things past. Make event planning easier with TicketPrinting.com!